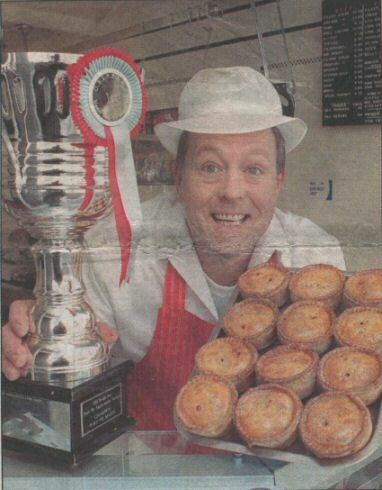 A Huddersfield butcher has again been hailed king of the pies. Andrew Jones (pictured) won the Old Bridge Inn Pork Pie Appreciation Society's annual contest at the Ripponden pub. He's entered the last 10 contests and won three of them Andrew set up in business at Westbourne Road, Marsh, 15 years ago and opened a second shop in Bethel Street, Brighouse, last August. He went back to basics to create as traditional a pie as possible for the competition. And, by chance, old-fashioned equipment that he nearly got rid of may have swung the balance. Andrew said: "When we took over the Brighouse shop I took one look at the 50-year-old bowl meat chopper and thought "We'll get rid of that straight away'. 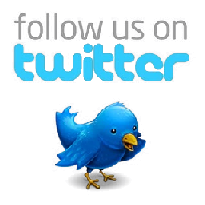 "But once we started using it as a stopgap, we decided it wasn't that bad after all. Using traditional equipment gives the pies an old-fashioned feel." Andrew, who has also won awards for Cornish pasties and sausages, went back to his roots, using a pastry recipe from 15 years ago, and not later, modified versions.